Mysore / Bangalore: Vishwaprasad Alva first manoeuvres a wall-mounted dental imaging system, then collapses a mobile X-ray unit that snugly fits into a Maruti van, all the while reeling off numbers on how low-cost medical equipment can save patients from either unnecessary or expensive diagnostic scans. “If a clinic spends Rs1 crore on a CT (computed tomography) unit, it needs to shell out Rs3-4 lakh every month on loan repayment and consumables. That puts pressure on good doctors to get returns on the investment, an unhealthy practice in many urban clinics and hospitals," says Alva, managing director and co-founder of Skanray Technologies Pvt. Ltd in Mysore. This month, two-year-old Skanray began shipping three types of X-ray imaging systems to Latin America, Europe and hospitals attached to some medical colleges in India. 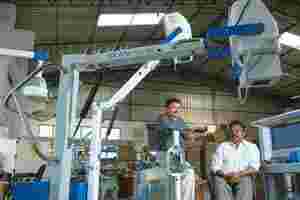 It has signed agreements to ship overseas at least 3,500 such units every year and has formed a joint venture with CEI of Italy, Europe’s largest X-ray tube maker, to manufacture these in Mysore. Besides being designed for Europe’s CE marking and the US’ Food and Drug Administration, or FDA, certification, these imaging systems are customized for Indian conditions; the company spent seven months studying what Indian doctors actually use, Alva says. Alva belongs to an emerging band of entrepreneurs, who, having spent years in the medical technology industry with leaders such as General Electric Co., or GE, Philips and Siemens AG, have now plunged into the business themselves— with models that instantly open up the global market. Over the past few years, several such start-ups have entered the manufacturing space, which has been essentially dominated by multinational companies; most Indian companies in the business previously were into trading. A mix of market opportunities—a report by industry lobby Federation of Indian Chambers of Commerce and Industry and Ernst and Young projects the medical equipment market to be worth $4.97 billion (Rs23,060.8 crore) by 2012—the pull of engineering challenges, and ennui at stagnating careers at big corporations are driving this trend. With 17 years in the industry, for the most part at GE in different geographies, Alva has assembled a core team of around 40 people, 15 of whom have worked at GE. At Chennai-based Perfint Healthcare Pvt. Ltd, a bunch of ex-GE professionals, who dabbled in non-medical technology businesses for a while, finally came together to start a medical robotics imaging product company. “In less than five years, we have CE marking for our products; this would have been unbelievable a few years ago," says Guruswamy K., director, sales, and a co-founder of Perfint. The company will start exporting its product, Piga-CT, used for diagnosis as well as treatment, to West Asia and South-East Asian countries in January. Having installed 25 Piga-CT across India, including at the All India Institute of Medical Sciences in Delhi and the Sri Ramachandra Medical College in Chennai, Perfint is now collaborating with Stanford University for its next product—for “ablation" of tumours using different energy types, including radio frequency, cryogenic and microwave. For long it was believed that high-end medical technology residing in low-cost instruments was as incompatible, conceptually and business-wise, as plaid and polka dots. That belief seems to be changing. And the company that can stake some claim to have triggered this trend is not shying away from the credit. After all, there’s room for everyone when 73% of Indians don’t have quality healthcare, says V. Raja, president and chief executive, GE Healthcare South Asia. Raja, however, cautions that mere innovation is not enough; the quality needs to meet global standards. “In our mind, not all these products and solutions would succeed in delivering healthcare at the right quality and at an affordable price," he warns. But the innovators, having been through the product cycles at places such as GE, are aware of the arduous road of commercialization. Guruswamy says he was part of the team at GE that launched the world’s first portable ultrasound. “I feel the same confidence in selling Perfint’s products as we did in GE selling the made-in-India ultrasound." But, he says wistfully, selling outside of the GE brand is a much “tougher" game. Nobody denies the tough sell. In Coimbatore, M. Ravi Ganesh, a 1997 batch Indian Institute of Technology, Bombay, graduate, was driven to entrepreneurship five years after working with global leaders in the business for the sheer engineering challenge. He wasn’t happy with the way ultrasound was done, technologically. In 2005, his start-up Surabi Biomedical Instrumentation developed the first entry-level colour Doppler ultrasound machine. “The cost of ownership of branded machines is very high, and small healthcare providers can’t afford it," he says. Having obtained CE marking, he now has three products on the shelf and is in final talks with a Chinese company for exports, but says selling outside Tamil Nadu is proving difficult. Others hit the roadblock soon after initial success. For P.V. 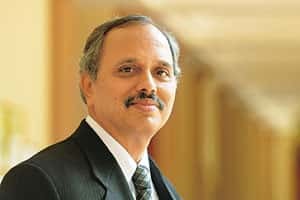 Gopalakrishnan, who set up Alpha X-ray Technologies in 2002 after spending more than a decade at GE, reaching Rs15 crore revenue was a milestone as well as a ceiling; he couldn’t scale up. In 2008, he sold Alpha X-ray to Philips Healthcare India. “GE hires go-getters and provides an aggressive culture, but at some point many feel they can do much more and venture out," says Gopalakrishnan. Some experts fear such buyouts might either kill innovation or thwart the crucial cost advantage. But the buyers dispel such fears. “It’s bit of a misconception that the cost advantage necessarily disappears with integration. It all depends on the manner in which the post-merger integration processes get managed," says Anjan Bose, vice-president and business head, Philips Healthcare—India, Bangladesh, Sri Lanka and Nepal. The end users gain in many ways. They get economy segment products with global standard quality and reliability, additionally supported with funding scheme options and the ability to plan their long-term equipment road maps because they now have a much broader range to choose from, he adds. Still, Skanray is playing it safe. Having managed with internal funds from its core members, bank loans and Rs5 crore from the technology development board of the Union ministry of science and technology, the Mysore start-up plans to tap private equity money early next year to fuel further research. “We won’t offload more than 26% of equity," says Alva, who is driven by the goal of providing healthcare at Rs100 per person per month and is seriously looking at several National Rural Health Mission schemes to supply his equipment. Skanray is uniquely positioned, says Shyamol Banerji, who, as a former director at Texas Instruments Inc., had evaluated the start-up for its chip business. “In India, when you talk of hardware, four things need to be addressed—quantity, cost, quality and complexity. Currently, most companies can manage three of these, not all; but Skanray meets all four," adds Banerji, who started i2i Telesolutions Pvt. Ltd, a teleradiology company, in May. The market leaders have started taking these ventures seriously. Last month, while launching teleradiology-managed services in India, when GE was asked who its competitor was, Vishal Wanchoo, president and chief executive of GE Healthcare IT, said: “Among Indian entities, MedSphere (Technology Pvt. Ltd)". Incidentally, MedSphere is co-founded by an ex-GE professional. With the surge in domestic healthcare demand, these companies could have the wind at their backs, but experts say they still represent the early, even tottering, steps in this direction. We will have to give the credit of inventing cutting-edge medical technology to the GEs, Philips and the Siemens of the world, say Alva and Guruswamy. They believe what most of them are doing is inventing the “solutions" and “delivery", not the technique per se. But some would say that suits the Indian market well. “We don’t need to invent the technology, but use existing platforms to innovate as we did in mobile telephony," says Dinesh Puri, founder chairman and managing director of MediVed Innovations, and a former Motorola and Symphony Service Corp. senior executive. Two-year-old active implantable device maker MediVed has built India’s first dual-chamber pacemaker at its Bangalore facility that will soon start exporting. Unlike Philips, which has so far acquired two Indian companies, GE hasn’t found the right fit yet. But after the October launch of its global $250 million fund, it expects to invest $2-10 million in Indian ventures. “It is open worldwide, but we do expect to have larger participation in India and China to ensure we are addressing India’s needs. We can have as many candidates from India as possible and (it) is not limited to one or two," says Raja.